You think you know the Joker? Think again. This film from THE HANGOVER mastermind Todd Phillips stands apart from the other DC Comics movies released by Warner Bros. The director describes it as a tragedy, and it might just break all of the rules of superhero movies. For one, there might not be a superhero in JOKER. Joaquin Phoenix stars as Batman’s classic adversary in a twisted origin story that looks more like a ‘70s or ’80s thriller than a typical comic book movie. Here’s everything we know (so far) about JOKER. The JOKER release date is set for October 4, 2019. That puts the movie up against THE WOMAN IN THE WINDOW, starring Amy Adams, Julianne Moore, Gary Oldman and Brian Tyree Henry. Since JOKER has the potential to be as surprising as the portrayal by Heath Ledger was back in 2008, we can’t wait for the day to arrive. 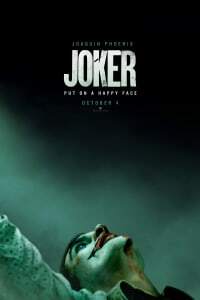 The JOKER trailer premiered at CinemaCon 2019 in Las Vegas and arrived online shortly afterward. Check it out above. Watch it twice, then smile and put on a happy face. Here’s where things are still murky, but in a good way. At CinemaCon, Todd Phillips said that while there’s been a lot of talk about the movie, “most of it hasn’t been very accurate.” But, he noted, “That’s to be expected when you set out to make an origin story about a beloved character that has no definitive origin.” The marketing department at Warner Bros. asked Phillips to describe the movie, and he said, “I can’t,” before landing on the idea that it is a tragedy. 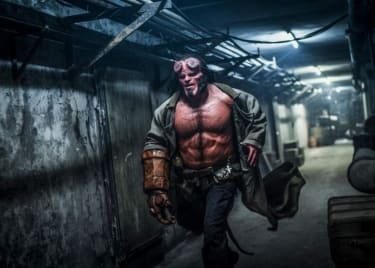 This movie is totally disconnected from films like SUICIDE SQUAD and the rest of the DCEU. We know that Warner Bros. wanted to experiment with films made on a slightly lower budget than the typical DC movie, with stories outside that continuity. JOKER is the first of that possible set of movies. In JOKER, Joaquin Phoenix plays Arthur Fleck. He cares for his mother. It seems that he’s a stand-up comedian, or at least wants to be. In fact, he’s a failure on stage. He also seems to work as a clown and is beaten by a gang at one point. Something leads to a psychotic break, and soon Arthur is running around Gotham with green hair and a face covered in grease paint. 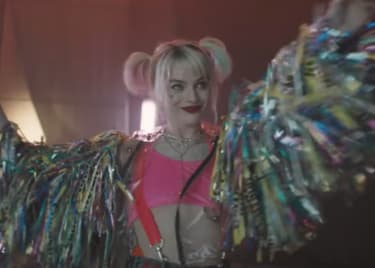 We’ve seen the character on screen many times, with Jared Leto, Jack Nicholson and Cesar Romero, in addition to the aforementioned Heath Ledger, playing him in previous live-action incarnations. This version is certain to be quite different from any Joker that came before. Will Batman Be in Joker? Good question! Kind of, since we know that a young actor was cast as Bruce Wayne. But since Bruce’s dad is alive in JOKER, he probably won’t be Batman just yet. Word is that, in this movie, Thomas Wayne, played by Brett Cullen (above, in “Narcos”), is running for mayor of Gotham City. We’ve seen suggestions that the elder Wayne isn’t exactly the greatest guy and that he has a role in Arthur’s transformation into Joker. So, this might be a slightly different take on the character from the more upstanding guys seen in other Batman movies. This film is set in the early ’80s. Set photos suggest that Thomas Wayne might occupy the same role in Gotham City that Donald Trump did in New York in the early ’80s of our own world — which would be a radical new take on the character. 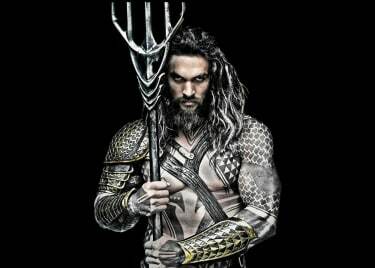 Meanwhile, Dante Pereira-Olson plays Bruce Wayne. Since the actor isn’t even yet a teen, the Bruce Wayne in JOKER is a long way from stalking the shadows as Batman. Is Joker the King of Comedy? No, he’s the Clown Prince of Crime! Still, there’s reason to ask. With Robert De Niro appearing in JOKER as a talk-show host, we do have questions. Specifically, aspects of JOKER are reminiscent of Martin Scorsese’s 1982 movie THE KING OF COMEDY (above), in which Robert De Niro played a wannabe stand-up comedian who kidnaps a talk-show host, played by Jerry Lewis, as a way to break into show biz. Reports have said that Todd Phillips based the JOKER script in part on THE KING OF COMEDY. The story also draws inspiration from Scorsese’s movies TAXI DRIVER and RAGING BULL, as well as from the comic book “Batman: The Killing Joke” written by Alan Moore. In that comic, the man who becomes Joker is an engineer who quits his job to become a stand-up comedian, and then agrees to help some criminals in order to make money — but that plan goes horribly wrong. Part of the way JOKER reflects the Scorsese films is the setting: JOKER takes place in 1981, which puts it far away from all of the other recent DC movies. The era also gives Phillips the chance to play with scenes that are visually similar to those Martin Scorsese movies. The Gotham City in this movie will probably be grimy and dirty and dangerous. The actor didn’t pursue the idea very far, but then some time later, Todd Phillips came calling with the JOKER script. In addition to Phoenix and Robert De Niro, the JOKER cast also features Zazie Beetz of DEADPOOL 2 (above) as Sophie Dumond, a single mother and possibly a fan of Arthur’s. Frances Conroy plays Arthur’s mother, Penny Fleck, while Bill Camp and Shea Whigham both play Gotham City cops. Glenn Fleshler appears as another comedian (probably a more successful one than Arthur), and podcaster and comedian Marc Maron appears as an agent. And, as we mentioned above, Brett Cullen plays Thomas Wayne, and Dante Pereira-Olson appears as Bruce Wayne. Finally, Douglas Hodge plays the Wayne family butler, Alfred Pennyworth. Check back with the AMC Scene for more on JOKER!